On 4 February, the EUREGHA Secretariat attended the second General Assembly and Stakeholders’ Forum of the Joint Action on Chronic Diseases (JA CHRODIS), taking place at Instituto de Salud Carlos III in Madrid. JA CHRODIS started in 2014 and is a project jointly funded by the European Commission and its participating partners. It is the biggest Joint Action to date, led by Instituto de Salud Carlos III (ES), bringing together over 60 associated and collaborating partners from 26 Member States. 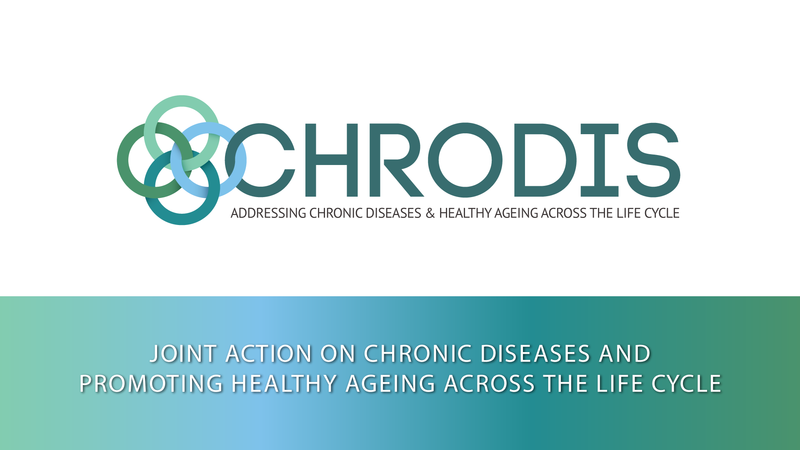 JA CHRODIS aims at identifying, validating, exchange and disseminate good practices on chronic diseases across EU Member States. Emphasis is put on health promotion and primary prevention, management of diabetes and multi-morbid chronic conditions. The Joint Action is now entering its final year of activities. The General Assembly took place during the morning session and gathered the project coordinators, representatives from the different Work Packages, DG SANTE and CHAFEA, as well as a number of stakeholders to take stock of the project’s accomplishments and to discuss future activities, promotion of outcomes and sustainability measures. This was followed by a discussion on how to facilitate the exchange of good practices in health promotion and treatment of chronic diseases as well as the concept of “communities of practice”. Several aspects were raised: the need of appraisal of both the good practice in itself and also the quality, maturity and motivation of the receiving side; the need to train people in recognising differences between organisations; the need to promote means of transferability of “tacit knowledge” and “learning by doing” and to provide for an evidence base for transferring the good practice. Importantly, it must be appreciated that best practices in the fields of health promotion/disease prevention and treatment are different by nature and associated with different demands in terms of requirements and standards. During the afternoon, various stakeholders were invited to take part in the discussions. The project’s work in the field of multimorbidity was introduced, as well as the work with National Diabetes Plans and the use of good practices in a national context. The rest of the afternoon was devoted to group discussions about the next steps of JA CHRODIS and how to ensure the project’s deliverables, notably the Platform for Knowledge Exchange (PKE), will serve as a useful tool for policy-makers and practitioners even after the end of the project. To read more about the outcomes of these discussions and to access all the presentations, please refer here.